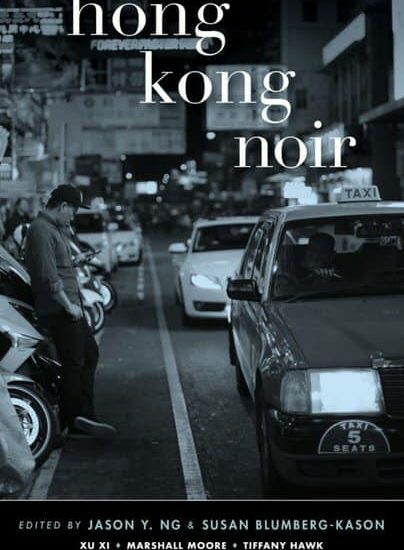 'Hong Kong Noir': WWAM Relationships in Literature | WWAM Bam! It’s so unusual to find novels with romantic relationships between Asian men and Western women. In fact, it’s so uncommon that I’m at a loss right now to think of more than a handful. So it was quite a pleasant surprise for me to find three WWAM stories when Jason Y. Ng and I put together Hong Kong Noir. As we write in our introduction, we didn’t give the thirteen contributors (plus Jason) any specific guidelines for their stories other than to make sure they end on a dark note. Rhiannon Jenkins Tsang, Tiffany Hawk, and Christina Liang all capture WWAM relationships in their noir stories. The fascinating thing is that Rhiannon’s and Tiffany’s involve Mainland men and Western women around the time of the Handover. That certainly resonates with me. That was my Hong Kong, not only the era, but also the feeling. It was hard to operate in both worlds. I didn’t run in expat circles that much until my last two years in Hong Kong (coincidentally the only years I was married to my mainland husband while we lived there) and only went out with expat friends when my then-husband was busy or out of town. In Tiffany’s story, “You Deserve More,” Becky’s ex-boyfriend, Leon, is like Handel in that he’s also from the Mainland, studied in the UK, is tall and striking, and has been successful in his career. But unlike in Jenkins Tsang’s story, Hawk’s protagonists aren’t at the end of their relationship and hope to rekindle their lost love. In Christina Liang’s story, “A View to Die For”, supporting character Heather Wong is a blonde expat divorced from tycoon Victor Wong. In this dynamic, Heather was married to a local Cantonese man who grew up in Hong Kong, unlike the Mainland men in the two aforementioned stories. Victor is portrayed as a confident flirt who lacks scruples when it comes to relationships with women. But the couple still interacts as they live in the same building so they can both be close to their children. All of these stories are different, but the Western women share a common experience in that their WWAM relationships failed no matter how much they tried to salvage them. The men also went into the relationships with hope for something different from what they knew growing up. I won’t give away any more of these thrilling stories, all of which end badly, but oh so brilliantly. (The stories are all fiction, so none of the darkness in them is real!) 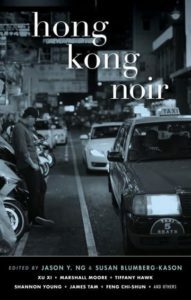 If you’ve read Hong Kong Noir and have any opinions about it, please consider leaving an Amazon review. The stories cover lots of other holidays, so why not? !